The four-time Grammy winner and two-time Latin Grammy recipient was induced Thursday. 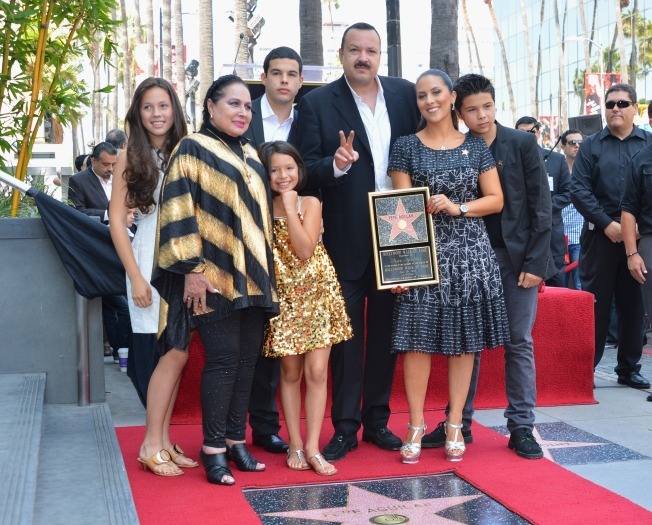 Pepe Aguilar (center) and family attend a ceremony honoring the singer with the 2,474th star on the Hollywood Walk of Fame on July 26, 2012 in Hollywood, California. José "Pepe" Aguilar Jiménez was inducted into the Hollywood Walk of Fame Thursday in front of "one of the most enthusiastic crowds" officials say they have seen at the iconic ceremony. Nicknamed "The Voice," the 43-year-old is a four-time Grammy winner and two-time Latin Grammy recipient. The man who was referred to as a Mexican cowboy thanked the speakers – including his mother, Flor Silvestre – in both English and Spanish. "Thank you very much to everybody who made this possible," said Aguilar. "It’s a great honor to have you here. Since I’m a Charro at heart, it’s time for me to speak Spanish." Fans gathered on Hollywood Boulevard Thursday in front of the Live Nation Building to celebrate the distinguished star. "I can’t think of a bigger star than Pepe Aguilar here today," said Jose Huizar, a Los Angeles City Council member, in the opening ceremony of Pepe Aguilar’s honor. 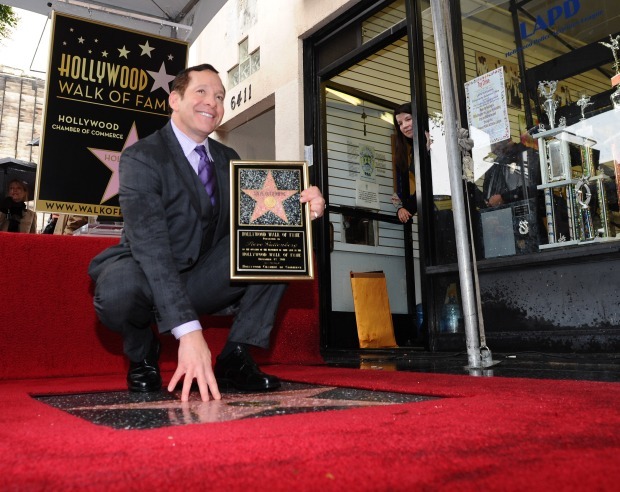 "You are a star in the music world but today you are a star on the Walk of Fame." The Latin star was honored with the organization’s 2,474th star. "He is a trailblazer for modernizing the Mariachi sound with contemporary pop music," Neil Portnow, President of the National Academy of Recording Arts and Sciences, said during the ceremony. The renowned producer, composer, and writer will be forever cemented into the boulevard alongside the star of his father Antonio Aguilar, a Mexican singer, actor, writer, and producer. The elder Aguilar was honored in September 2000 for his more than 150 albums, which sold 25 million copies, according to WalkofFame.com. "It’s going to be great to have these stars together," said Leron Gubler, chairman and CEO of the Hollywood Chamber of Commerce. "Pepe has music in his blood because he was born during one of his father’s tours in Texas." Aguilar made his singing debut at Madison Square Garden when he was three years old. "Pepe has spent most of his life on stage and in front of cameras. He couldn’t be more down to earth,” said Portnow. "His proud Mexican heritage enthuses his work."